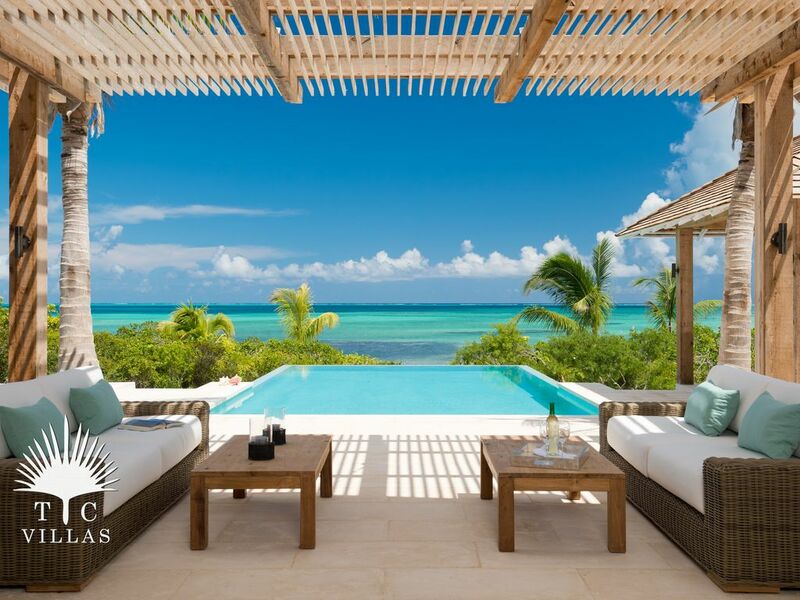 Castaway est une magnifique villa de 5 chambres en bord de mer dans la belle région de Thompson Cove sur la rive nord de Providenciales, îles Turques et Caïques. Cette location de vacances de luxe offre aux clients une escapade dans les Caraïbes parfait pour les escapades en famille ou entre amis. Castaway offre 5 chambres, 4 suites parentales égales avec lits King et vue sur l'océan, terrasses privées, et salles de bains. La 5ème chambre a un lit Queen, salle de bain et vue sur le jardin. Les clients adorent l’équipe de gestion immobilière de Castaway, qui s’instruit dans la villa avant de lui remettre les clés et de se relever de ses cheveux! Thompson Cove est une belle région pour les plages de sable blanc, l'eau turquoise, et la plongée en apnée! Nous recommandons fortement une voiture de location pour le transport, c'est le meilleur moyen de se déplacer. ** S'il vous plaît noter, cette propriété est généralement offert en blocs d'une semaine sur une base du samedi au samedi. Nous faisons parfois des exceptions à cette règle si vos dates de voyage vont de la mi-août à la mi-octobre ou si vous voyagez dans les 30 jours. Veuillez noter que les exceptions ne sont pas faites autrement. S'il vous plaît demander directement si c'est le laps de temps que vous souhaitez voyager et nous verrons si nous pouvons y arriver! * Le courant alternatif est mesuré afin de décourager l'utilisation avec portes et fenêtres ouvertes, éliminant ainsi la nécessité d'un taux de location plus élevé pour couvrir les déchets AC. Vous recevez une allocation AC, au-delà de laquelle vous devrez payer les coûts réels. L'AC est mesurée sur un compteur séparé qui vous sera montré à l'enregistrement. Believe it or not the pictures do not do the property justice...it is even better. Daniel took great care of us at the beginning (meeting us at the car rental agency and taking care of our luggage) to being available all week and quickly answering what ever questions we had by text. The entire week was perfect. I DIDN"T WANT TO GO HOME! There aren't enough words for me to describe this property! My daughter and wonderful son in law treated my husband and I to a glorious week at the Castaway,. This was their gift to us for our wedding anniversary. And what better place to celebrate! There isn't one thing I would change about the Castaway Villa. The location is perfect - only a few minutes away from grocery stores and restaurants. We rented a car, which I think is a good idea if you want to take in the island. So run - don't walk - to T&C and the Castaway Villa! We just returned from a week's stay at Castaway and I can't say enough positive things about the villa. It is every bit as stunning in person as it appears in the pictures, only much larger and more spacious. We were traveling with a group of three families. With four large essentially equal King suites, each had their own private space. Common spaces, including the kitchen/family room/dining area and the pool deck are huge, as is the pool itself. A particularly nice feature is that the laundry room has two sets of large washer/dryers, so there was never waiting for a load to finish to do laundry. We spent five of our seven days at the villa, splitting time between the pool and the beach, where the waters are very calm, even on windy days. Highly recommended! This was the perfect spot for a getaway with our extended family - 10 people including a 3 and 6 year old. The configuration was ideal for four couples + the two kids, plenty of "personal space", but also a large common area for games, bonding, or just chillin'. We split our time between the house, pool, and beach. We "cooked in" for most meals and had dinners around the huge table on the patio. The Graceway IGA has most everything you'd want, but be prepared to spend some $$. The advice to bring half the clothes and twice the money definitely applies! Still, it was much less expensive than eating out. There are food stores which are cheaper, but without as big a selection. The property has every convenience and is well maintained. Daniel and Priscilla, the local property managers, were attentive and informative, and took good care of us. A nice surprise was an abundant supply of games, beach & pool toys and reading materials. The kayaks and snorkeling equipment got a lot of use, including some trips to the reef (over a mile, not for the faint of heart!) Location really is a short ride from the airport; a big plus to avoid a long car ride after a long plane ride, especially with little ones in tow. A car (in our case two) is pretty much essential. While it's tempting to hunker down in the Villa there's much to see and do around Provo, but it requires a car to get almost everywhere. We would recommend Castaway without reservation, and look forward to a return visit. Let me say I have been to many Caribbean Islands, but this was my first time to Turks and Caicos. The beaches here are gorgeous and the water here is so clear and most importantly warm. My first impression of Castaway is exactly what a beach villa should be. High ceilings with huge open windows so that you can enjoy the beautiful views. The outdoor patio is perfect for entertaining at night (if you're lucky like we were you'll be able to catch the fish/lobster guy in the afternoon and throw it on the grill for a fresh caught meal). A quick walk down to the private beach and there are hammocks and lounge chairs. The ocean behind the property is shallow enough that you can just grab your snorkel gear and go quite a bit out. The water is very calm. As someone who loves the beach and ocean let me say that the water was so warm even a good ways out from the beach, which as you know makes a huge difference for snorkeling. After kayaking out a ways with snorkel gear the water was just as warm as it was by the shore. Be sure to hit up Grace Bay and Malcolm's Beach. As far as amenities goes this place has everything. A grill, 2 washers and dryers, and outdoor showers to name a few. The pictures do not do it justice as the views at Castaway are even more gorgeous in person. To put it in perspective I was literally dragged away from Grace Bay at noon the day of my flight and still had time to shower and get to the airport for a 2:05 flight. I am now trying to figure out how soon I can plan a trip back! My husband and I spend 8 nights here for our honeymoon and were absolutely amazed on how perfect the unit was. Clean, organized, with everything you'd need for your extended stay there. The bay that this unit sits on was so peaceful and serene it was a perfect setting for our relaxing honeymoon. The beach and pool were so clean, the water in the ocean was so clear and calm. The paddle board and kayak that were available for our stay were so nice to have. Each unit has one of each so you don't have to plan around other strangers vacation. One thing to note: you will NEED a car. We rented one and we would have been out $100+ each trip to the grocery store or to Grace Bay. Taxis are very expensive. We will definitely be renting another villa, hopefully a larger one through TC Villas for a friends reunion trip!